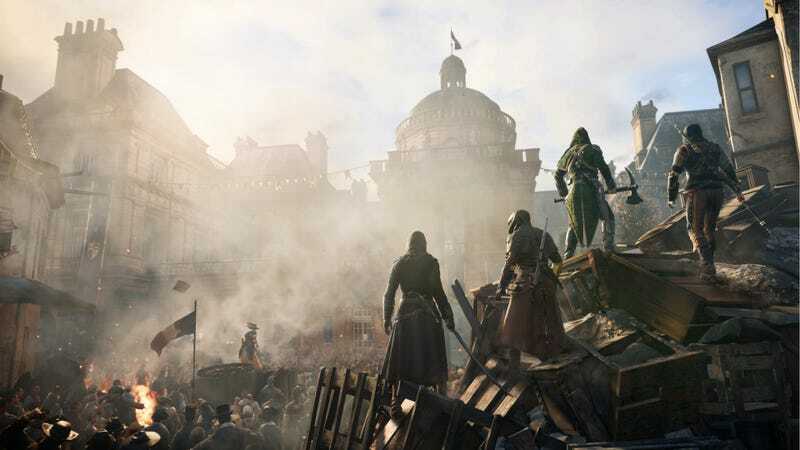 While glitches get all the hype in Assassin's Creed Unity, it's worth remembering that the game is quite a looker, too. Digital Paris looks gorgeous. If you're on the fence as to what version of Unity to pick up, one of the many things to consider will be the graphics. Judging from DigitalFoundry's graphical comparison videos, all versions of the game look solid—which makes sense, given that the game was developed only for current-gen consoles.